When three Canadian college kids decided to develop a better experience for their online snowboard shop in 2004, they ended up changing the world by creating one of the most popular ecommerce platforms ever. But what is it about Shopify that makes it such an attractive option? Headquartered in Ottawa, Canada, Shopify is a website builder and commerce company that focuses on delivering a phenomenal retail experience, both online and off. Thanks to the intuitive interface and first-rate integrations, more than 150,000 businesses around the world trust this platform to serve as the backbone of their sales systems. Shopify features one of the best online shopping carts ever created, and provides a variety of hardware devices and accessories to facilitate in-store sales. The company’s dedication to delivering the best ecommerce builder on the market means you’ll find a bevy of helpful bells and whistles not available on competing services. With Shopify, digital downloads can be sold right alongside physical goods, and the optional add-ons can help you market your business in a breeze. The whole platform is a dream to use, and within minutes of selecting a domain name, you can own a website that you love. Shopify is an excellent consideration for anyone interested in selling things, either exclusively online, or in a brick-and-mortar business. Web-based Shopify stores are easy to set up, even if you don’t have any experience in the realm of website building. Many competitors offer intuitive interfaces as well, but it’s this company’s selection of more than 1,000 add-ons that sets it apart from the rest. These third-party integrations make it easy to use any number of other services in conjunction with Shopify—WordPress, MailChimp, and Pinterest are just a few of them. Though this builder is keenly focused on helping business owners sell products, manage inventory, and fulfill orders, you can also create a blog to communicate with your customers. Although this software is simple to use, if you get stuck on something, you can find answers in the Shopify forum or by contacting the company’s customer service. When it comes to choosing a look and feel for your website, there’s an outstanding selection of Shopify themes to browse through. There are well over 100 templates in the gallery, organized into a dozen different industry-based categories. See a theme you like? Test drive a demo to try out the template yourself. The designs are all mobile responsive, meaning they look great on smaller screens. And while the templates are beautifully designed, many of them come with a price tag—sometimes as high as $180. I chose one of the free themes for my test site and was really pleased with how it looked. 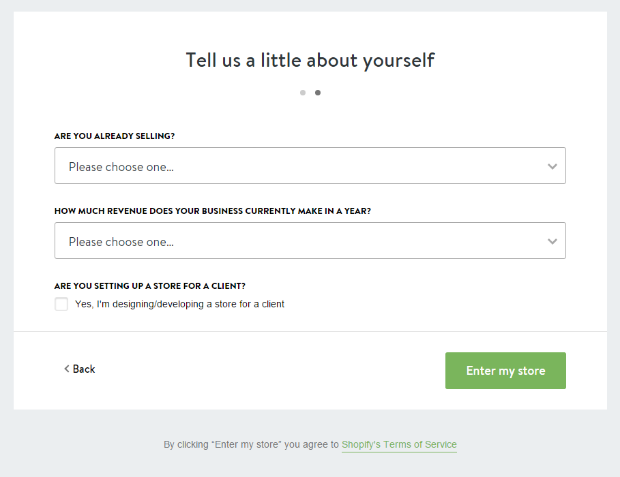 Curious to see how certain Shopify templates could work for your site? Go ahead and browse through the examples to see them in action. I’ve tried out a ton of different website builders in the past, including many of Shopify’s alternatives, and can say with certainty that this platform is among the easiest I’ve ever used. The tutorial that guided me through the signup process was very comprehensive and straightforward, and the website building process was extremely intuitive. The admin area is very well organized, which made it easy for me to find everything I was looking for. Within just a minute or two, I was uploading my product images and adding descriptions. Although in general I found this builder extremely easy to use, there were a couple times I got stumped and needed some guidance. While there isn’t a Shopify wiki, per se, there’s a great manual and support center in this builder’s support section, and that helped me get unstuck in no time. First-time webmasters will have no problem creating a great online store with this service, and advanced users can even use the platform to open up an additional revenue stream. Freelancers and agencies can create Shopify partner logins to expand their own businesses by encouraging clients to choose this builder. Although there is a two-week free trial offered with this platform, after that period you’ll need to sign up for a subscription. All plans include the point of sale software, 24/7 support, a discount code engine, and fraud analysis tools. Shopify’s fees for credit cards vary based on the different tiers, with more the more-expensive monthly plans coming charge a smaller percentage per transaction. Online-only businesses will find attractive options on Shopify, plus there are plans for managing transactions at traditional brick-and-mortar stores. There is a one-time cost of $649 for the POS hardware kit, and a fee of $40 per month beyond that. All of the themes on this platform were designed to look great on any size screen, making the Shopify mobile experience a thing of beauty. Thanks to the responsive checkout interface, which looks great on any device, I don’t need to worry about losing customers due to less-than-desirable display. And to help me further ensure that my site worked well on smartphones and tablets, the builder’s manual had a bunch of useful tips I hadn’t thought of. That’s also where I found out about the Shopify Status dashboard, which displays any issues that might affect my store’s performance on mobile phones, tablets, or traditional computers. Not surprisingly, this platform excels in the realm of online sales. The Shopify inventory management system is among the most comprehensive tools of its kind, and the entire experience just feels incredibly polished. With Shopify, payments can be accepted in almost any type of currency from nearly any country on Earth. Shipping is also easy to manage. A handy postage calculator and labeling tools take all of the pain out of the process, and made it seem well worth the price of paying the Shopify’s transaction fees. Shopify’s customer service is incredible. The company offers so many different ways to contact them if you need help at any point. Most users might choose to call the Shopify phone number, which can connect you to a live representative 24 hours a day, but there are many other options as well. Not a telephone person? Use the chat feature to find the assistance you seek, or check the online manual and forum for further support. 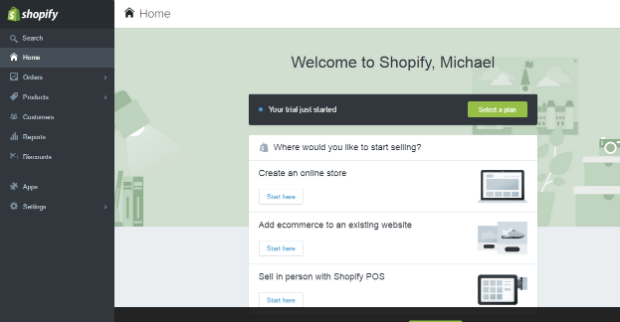 Regardless of what you find yourself puzzled by, you can reach Shopify help on your own terms. If you want your website to be highly visible online, you’ll want to engage in some search engine optimization (SEO). Shopify SEO is easy when you review some of the top tips in the builder’s manual, and by optionally using third-party add-ons to further enhance your site’s visibility. Shopify hosting is included standard with every plan on this platform. And since security is on everyone’s mind these days, Shopify SSL certificates are also included on all accounts for no additional charge. If you don’t yet have a website name, you can buy a domain name straight from the company. If you already have a domain that you acquired somewhere else, it’s just a matter of changing your setting to point toward Shopify’s nameservers. And if you already have a website that you just want to add your new store to, it’s simple to seamlessly put the two elements together. One thing that surprised me about this platform, was that it doesn’t offer native email accounts when you create a website. In order to set up Shopify email, you’ll need to involve a third-party company (such as Google) to establish an inbox for you. Your Shopify login won’t automatically allow you to create email accounts, but the builder’s manual includes detailed instructions on setting up this integration. If you’re interested in promoting your products and your store via email, you can use any number of marketing tools with Shopify, MailChimp chief among them. With tools like that, you can create newsletters in a flash, and track the stats to see who’s opening your emails and who’s not. Shopify customer reviews are far and away some of the most favorable testimonials for an ecommerce platform. Many well-known publications, including The New York Times and the Wall Street Journal, have written glowing reviews, but individual users love the platform as well. Feedback on our site is, for the most part, positive. But one of the most common criticisms that you’ll see pop up in Shopify reviews are about the cost of using the builder. Aside from the money factor, though, there’s not too much to complain about with this powerful platform. Unlike some other popular builders on the market, Shopify websites aren’t available to use for the long-term without paying for them. You can test out the service before you commit to it, though, and you don’t even need to take out your credit card to do so. The free trial last for two full weeks, and allows you to use almost every aspect of the platform. So you can technically create a free website with Shopify, but it’ll only be free for 14 days. But even beyond that, there are a bunch of neat features included for free on Shopify when you pay to have a store with them. 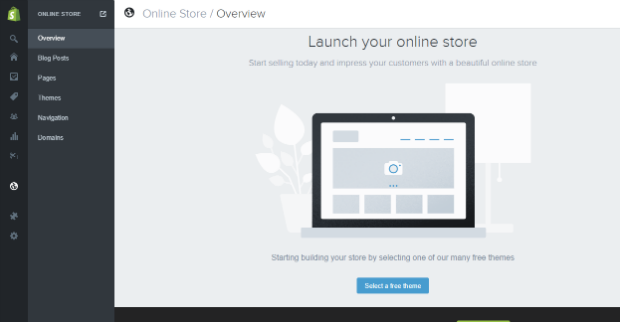 The Shopify website builder is hands down the best ecommerce builder I’ve ever used. The entire Shopify marketplace experience is clean, comprehensive, and incredibly robust. Just about anything you can dream up for your online store is possible when you use this platform as the foundation for your online business. But if you’re still on the fence about committing to this builder, or if you have more questions about how it works, check out the FAQ for more information.